The programme was inspiring and at the same time cautionary. We need to be mindful of the impact of our actions and decisions, and we also need to challenge our assumptions. It is easy to think we are doing something good when in fact we are causing harm unintentionally. With much of the Development Studies programme being able to be undertaken as a distance student it was perfect for me and my work, and for the times when I was travelling in Cambodia. Many of my assignments were completed while working in remote areas of Cambodia. I really enjoyed the block courses too. Meeting other students and hearing about their experiences was a real bonus, as was getting to know the lecturers. I thoroughly recommend the course. 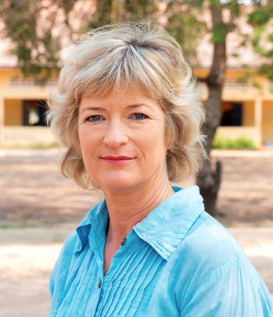 I work full time as a lawyer but my passion is working in Cambodia as a volunteer for a charity that I have established called the Cambodia Charitable Trust. The Trust seeks to break the poverty cycle and in doing so transform lives in Cambodia, primarily via education and health programmes. Having set this Trust up in 2008 I was concerned that I was making decisions in a development context without understanding the broader economic and political issues. That is why I studied Massey – to enhance my understanding of international development. Completing my research paper was a really good way of engaging in broader research and understanding the influences on the work that I was doing in Cambodia. The assistance of my supervisor and the broader team at Massey was hugely valuable, and I have been able to continue to reflect on the results as I develop programmes in Cambodia.